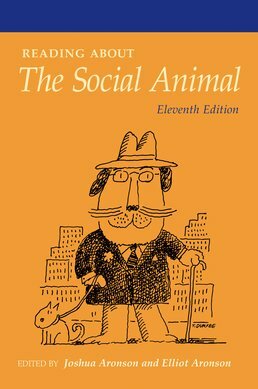 Coinciding with the major themes found in The Social Animal by Elliot Aronson, Readings About The Social Animal examines the most important ideas in social psychology. This acclaimed collection of articles includes accounts of specific experimental findings as well as more general articles summarizing relevant studies. Joshua Aronson is associate professor of developmental, social, and educational psychology, at New York University. He has won awards for both research and teaching, including most recently, the Scientific Impact Award from the Society of Experimental Social Psychology. 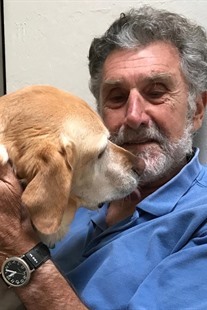 He is best known for his pioneering research on stereotype threat, research that has been cited in three Supreme Court cases and has been among the most widely cited research programs in psychology and education. He is also known as a pioneer in work on "growth Mindset," which also has had wide influence in education. 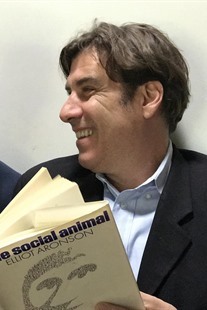 Aronson has authored numerous scholarly articles on this work and is the Editor of Improving Academic Achievement: Impact of Psychological Factors on Education (Academic Press). His current work is devoted to enhancing the school experiences of disadvantaged students and their teachers, improving, teaching, learning and well being using insights from social psychology alongside innovations such was mindfulness meditation. He directs a laboratory at the Metropolitan Center for Research on Equity and the Transformation of Schools. Education Week lists him among the most influential education scholars in America.